In case you do not know what 'Tea for Two (and a piece of cake) Tuesdays' are, please check out this post. The prompt for today is a quote by Bernard-Paul Heroux. Go make yourself a nice cup of tea and mull about it. You can write as little as you want or as much as you want. Use the prompt as an inspiration.Say what you like about it or dislike. You can write a poem or a journal entry or a short story or just your thoughts--Just anything that sets you off, when you read the above prompt. There are no formats at all about what you can write. You can post your links here.Do not link the whole blog..Link only the specific post which uses the prompt. Will try and catch up with your posts when I come back but it may be difficult this time (as the launch date of my book is very close). I did have a great time reading last Tuesday's entries. Happy 'tea for two (and a piece of cake)' Tuesday! 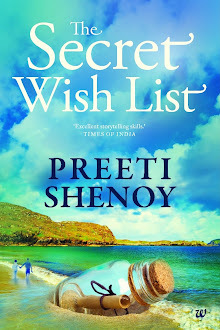 ps: Please RSVP: ssrivastava@randomhouse.co.in, 9971445305 if you are coming for my book launch on 14th Feb 2012. There is a nice little surprise planned. Hey a very interesting prompt......Wish you all the BEST for your book...and loads of success!! hmmm well I would have given it a try for sure but I am not that good.. so for the time being I would like ot congratulate you over the Book. As in the previous book I am sure this one will do good tooo..
All the best and Congrats once more ..
By the way welcome to the city of Joy :). Hope you have fun here! Have been a silent reader for ages....finally decided to break my silence. Love your blog, love your books. Can't wait to read this one. Thanks for sharing. It will be an honor for me if someday you can find the time to visit my blog. I am not in a hurry, I can wait forever. I am also asking your permission to stay here forever...can I? 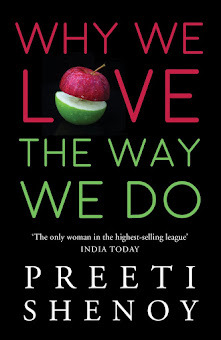 Hey Preeti, landed on your blog somehow and have been reading-up all for sometime now. So, the silent reader suddenly commented. Couldn't stop there and went ahead and attempted your prompt too! Hi, wishing you all the luck for your upcoming book. Thank you all of you!! I am sure you will forgive me if I do not reply individually this time. I have been signing hundreds and hundreds of pre-ordered copies! I read your book at one go and it gives me great pleasure to let you know that I have posted its review on my blog. Do have a look sometime. Looking forward to your next book eagerly.